Car companies regularly produce aftermarket products, such as the range of Mazda 2 accessories available in the US. There are items for the exterior, including bikes or snowboard carriers, and tow bars, but there are also other items which could be considered essential. Not many people understand how important it is to have some of these accessories, particularly those which might improve the performance of the vehicle. Learning about these inventions, and how they could be useful to a car owner, will allow drivers to make their own decision about what to buy. This kit is designed to improve the appearance and performance of the car by lowering the suspension, reducing the traction between the motor and the road, and giving a smoother ride. Getting parked is never easy, but the sensor can make it slightly better. It lets drivers know when they are approaching another vehicle. Some of these Mazda accessories have cameras built in so that the driver can watch themselves backing up. Ideal for anyone driving into an unfamiliar town. The Mazda 2 sport vehicle looks pretty cool already, but spoilers can enhance that look, and they can also improve the flow of air over the roof of the car, allowing for improved handling. 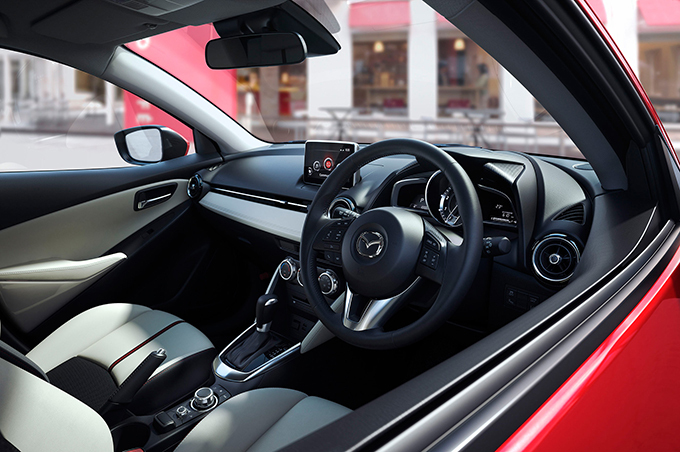 The essential Mazda 2 accessories pack, body kits include essential items such as front bumpers, alternative grilles, and even different wheel arches for the front of the vehicle. Overall, these completely alter the appearance of the car. Most drivers want to improve the appearance of their car, and they can do this by adding items such as door panel trims, or vent trims, which add a note of color to the dashboard. These effects are designed to stand out from the ordinary appearance of a car, so they appear in colors such as powder blue, silver, and black. Comfort is the key, and these arm rests also function as a neat little storage box, to be used by the passenger during driving, or by the driver when the car has stopped. These are accessories for the vehicle, and can be bought new, or on a secondhand Mazda parts online website. They include wiring which allows the lamps to be fitted to switches inside the dashboard. Some parts of the vehicle can be bought from Mazda used cars dealers, such as the grill garnish. This is designed to style the Mazda to a unique appearance, and could be bought cheaply from the traders. While these are not essential Mazda 2 accessories, they can help the car to keep its factory-new appearance for longer, by preventing scuffing and dirt from damaging the original finish of the car. Always useful in a sporty car, storage shelves add an extra area inside the car where items such as first aid kits and lunch boxes can be stored.